Has it really been three years since Jape released Ritual? 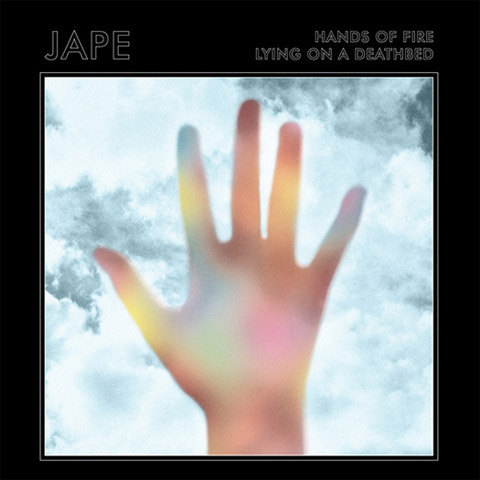 Jape (aka Richie Egan) returned with new material last week, releasing a double-A side single ‘Hands of Fire’/’Lying on a Deathbed’. They are the first two songs to be released from the forthcoming album Ocean of Frequency, out in September. The synth-charged Hands Of Fire has already delighted fans and dancefloors alike during the last FMC tour and elsewhere over the winter. Meanwhile ‘Lying on a Deathbed’ is a tentative, touching personal tale in which he is ably assisted by Conor O’Brien of Villagers. If this is what we can expect from the fourth album we’re in for another wonderous treat. Simply wonderful! Listen to them below and download them for FREE via Jape’s website. Philadelphia duo Nicole and Rachel make up SLUTEVER. The friends were brought together through a shared love of grunge and ’50s girl groups. To date they have already shared the bill with the likes Best Coast, Cults and The Coathangers whilst releasing two EPs; Sorry I’m Not Sorry and the recent Pretend To Be Nice. Their racket is a pleasant one. They kick out short, sharp bursts of brash and sleazy lo-fi garage rock. It is catchy, infectious and bubbling with feel-good vibes, fuzzed out riffs and a combination of youthful energy and recklessness. 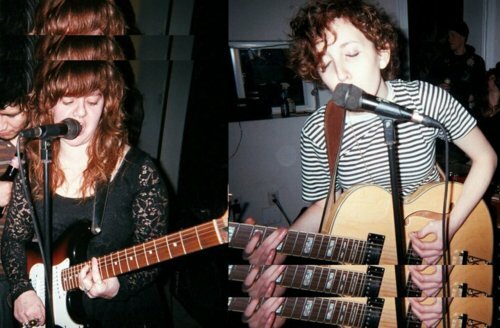 SLUTEVER will embark on their first national (US) tour this summer. It is hard to stomach that we on the other side of the pond may never get to see so many great emerging US bands like SLUTEVER live. Oh well. Pretend To Be Nice is out now on Bantic Media and their debut can picked up for ‘name your price’ via bandcamp. 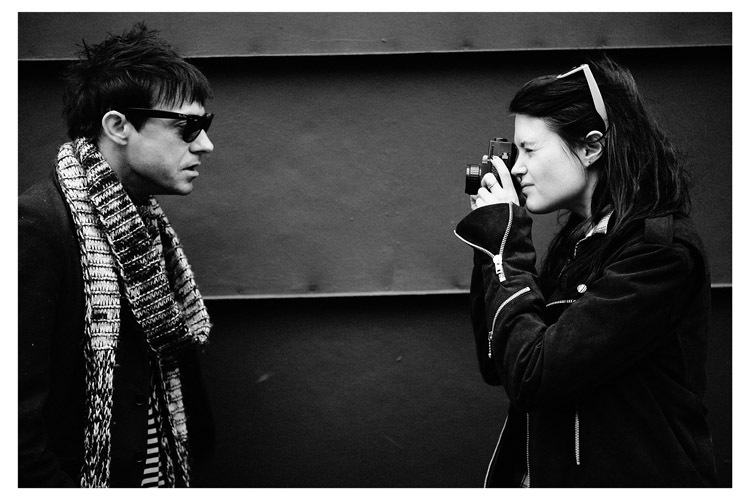 The Kills latest album Blood Pressures has absolutely blown me away. It is as it happens, the first to do so. The Kills were always a band I knew were great and hugely talented, but say for a few songs, their records never captured my full attention. That’s all changed now, hardly a day passes with which Blood Pressures doesn’t get a spin. More on that later. The chugging, melancholic dub-tinged ‘Satellite’ has received a revamp from UK producer The Bug. The dubby vibe is blown-out considerably giving it a ghoulish, eerie and ethereal vibe. As the first generation of punk began to falter toward the end of 1977, emphasis began to move away from much of the trash rhythms of the previous eighteen months. Indeed, the next couple of years would see the scope of instrumentation widen greatly, as artists – struck by punk’s feverish nature – embellished their creations with elements of jazz and funk (The Pop Group), dub (Public Image Ltd., The Raincoats) and rap (The Clash) amongst others. Heavily featured throughout the emerging post-punk/new wave movement was, of course, electronics. Whereas numerous “no wave” artists (see DNA or Teenage Jesus and the Jerks) may have digressed musically in the pursuit of more art driven formulae, industrial acts (such as Cabaret Voltaire, Throbbing Gristle and SPK) existed on a parallel plain, where self-made electronic sounds and stark noises modernised post-World War 2 concepts like Musique concrète. Amongst the melee was Daniel Miller – a.k.a., The Normal. Miller, an experienced film editor was dismayed at the apparent need to abide by a three-chord structure within punk’s narrowing walls – rather than confine himself to such barriers, the disillusioned Miller purchased a Korg 700S synthesiser. Recorded in his house on TEAC four-track recorder, Miller produced two ultra-minimalist songs that would later make up his first – and only – single. Once finished, the songs, “TVOD” and “Warm Leatherette”, were largely single-note / arpeggio affairs, laced with acidic lyrics housed within morbid themes. Images of death in a car crash and televisual addiction ran throughout; although the pictures painted remained largely cartoonish in nature. 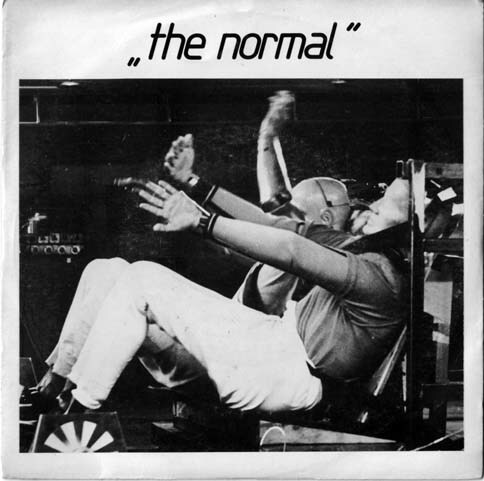 Released in October 1978, the split-single TVOD / Warm Leatherette was also to be the debut release on Mute Records – a label set up by Miller himself to carry his own recordings. However with no new material forthcoming, Miller set about shaping Mute into an independent label that would become as important and influential as its peers Factory Records and Rough Trade; the latter of whom helped distribute Mute’s early releases. As the decade turned, artists such as D.A.F. recorded projects for the label, while Miller himself released an electronic version cover of Chuck Berry’s “Memphis Tennessee” under the banner of Silicon Teens. By 1981, Fad Gadget and Non had also joined Mute’s roster, before the label reached the stratosphere thanks to the success of new electropop signings, Depeche Mode, Erasure, Yazoo and later, Goldfrapp. Come the beginning of the century, Mute was sold to EMI. In truth, TVOD / Warm Leatherette single is not widely known within the mainstream consciousness; if anything, it is a musician’s single – a release that helped define its immediate aural surroundings, leading to other artists to extend the boundaries of leftfield electropop and synth-driven new wave. Simple Kid aka Ciaran McFeely, is one of those enigmatic artist who refuse to bask in the limelight of their success, preferring to remain in the shadows. Simple Kid rose to public prominence with the release of SK1 in 2003. A stunning album which captured punters imagination on both sides of the Irish Sea, no mean feat. 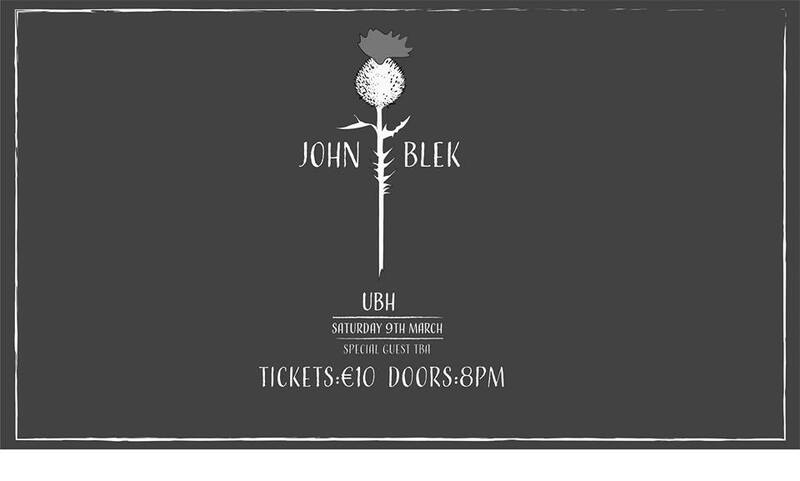 It demonstrated the Cork natives savvy for witty and at time silly lyrics with catchy-as-hell melodies. SK1 mixed the bouncier and chirpier moments of Britpop era Supergrass and Blur with T. Rex glam swoon and catchy trip hop and electronic beats and synths. It is a formula which probably shouldn’t have worked but it did! Just as it looked as though he was destined for bigger and better things SK disappeared off the radar, apparently quitting music to escape its pressure and taking up a job in his local video shop. Thankfully this was not to be the end. In late 2006 he returned to the fore with SK2. 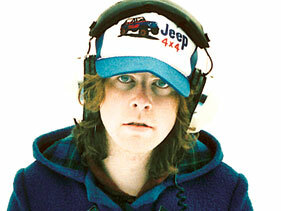 His second LP saw him embrace his lo-fi id, producing an album of self-produced scuzzy recordings with a real quirky indie-country vibe. The record was received well by critics and fans alike but as he returned to hibernation once again in 2008 we hoped there was much more to come. Unfortunately it was not to be, a brief message adorned his website to confirm Simple Kid is no more. A brief but fruitful and exciting musical career, perhaps we may see him return to music under another guise, hopefully he does. Music needs guys like this. So far 2011 has been characterised by bands slinking and sliding towards an ’80s and ’90s vogue, not a bad thing is it? After all everything is borrowed. A brief respite is offered by Dublin 4-piece The Pacifics who roll back the decades, embracing their predilection to ’50s and ’60s sounds. 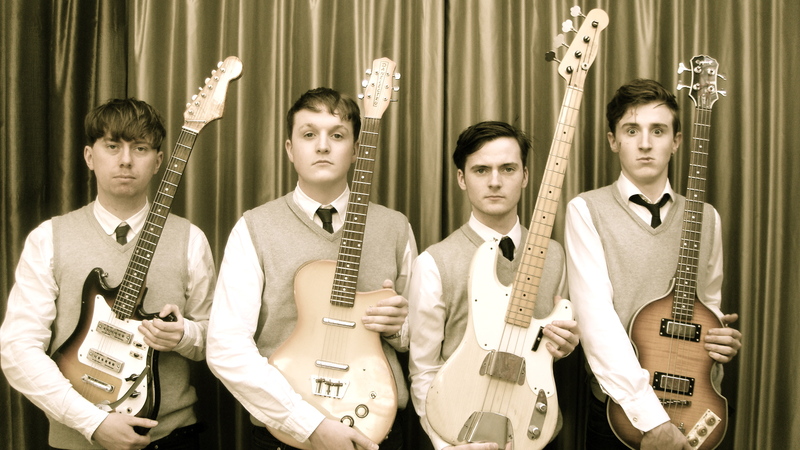 Their debut EP, Play Favourites is an homage to Little Richard, Bo Diddley and Chuck Berry. As the title suggests, Play Favourites EP is a collection of their favourite songs. While the idea of a covers EP doesn’t really promise much, this one manages to surpass whatever the initial scepticism. They succeed in delivering the record on a tide of roaring Sixties garage rock and R&B swagger. They haven’t just copied the songs they have added their own little touch of magic, giving these old songs a new lease of life. They have paid tribute to true classics with a mixture of admiration and personal interpretation. It will be very interesting to see what comes next, original recordings would be a plus but for now this will do nicely. Their debut EP Play Favourites is out now on Bandcamp and all the usual spots. Until quite recently I wasn’t really aware of Foreign Beggars. The five man London crew which comprises of rappers Orifice Vulgatron and Metropolis, Dj NoNames, Beat Boxer Shlomo, and Producer Dag Nabbit have already released a slew of singles, EP’s and an album. All I had been aware of was their work with Noisia on the superb Split The Atom album from 2010. Collaborations must be their forté, this time teaming up with Vato Gonzalez for a thumping new single ‘Badman Riddim (Jump)’. A mixture of slick rhymes, killer basslines, crushing beats and quirky video make it a prime candidate to be a summer anthem. Accompanying their great new video, is a couple of free downloads for you: Tru Fix & Thunderskank’s dubstep mix and Noisia & Foreign Beggars ‘Shellshock’. 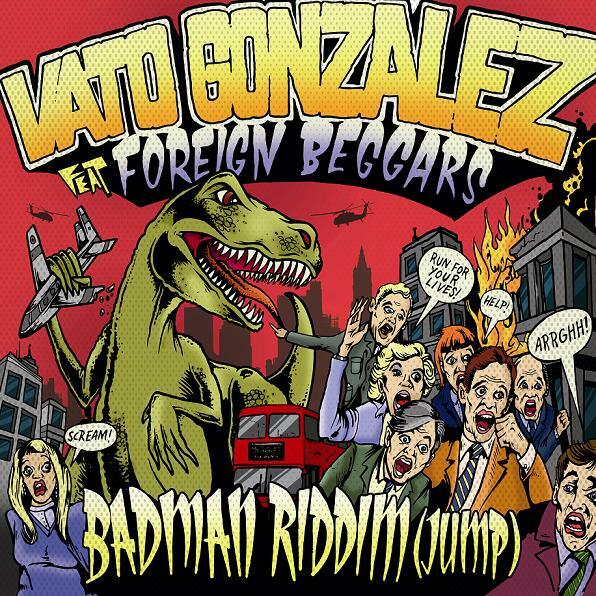 Vato Gonzalez ft. Foreign Beggars: ‘Badman Riddim’ is out June 19 on Ministry of Sound. 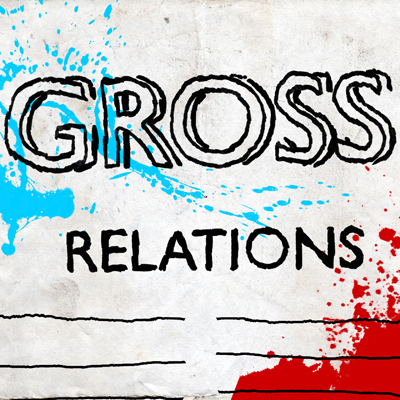 Brooklyn band Gross Relations came in for some praise when they featured in one of the introducing slots on the blog a few weeks back. The 4-piece have released another single, ‘Today Tomorrow’. It’s more feisty sing-a-long garage rock, if you liked previous releases you will love ‘Today Tomorrow’ and b-side ‘Taking Off’. These jams which elicit memories of Double Dagger, Surfer Blood, Pavement et al. The more tunes to come from these guys the better! You can spin the tunes below or grab them for FREE on bandcamp. 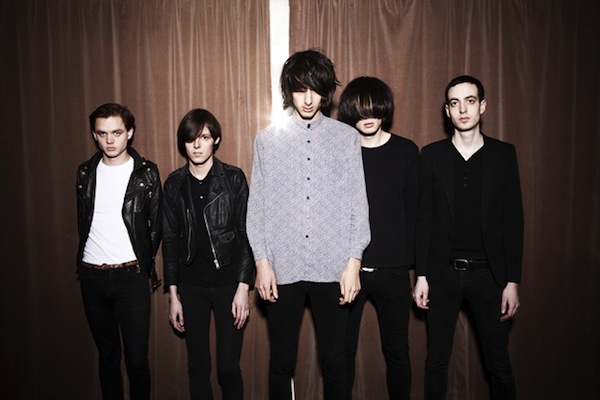 Fantastic news from The Horrors camp. Yesterday evening they took everyone by surprise (most of all me!) with news of a new album, Skying, to be released on July 11. Like this wasn’t enough to get us excited? They also unveiled the first single from the record, ‘Still Life’. The swaggering psychedelic shoegaze is retained but with less anger and darkness. An uplifting, warm and inspirational vibe is preferred with beautiful trumpets and super synths all working so, so well. One can’t help but feel the warmth from this track and heavily reminiscent of Screamadelica era Primal Scream or Death In Vegas in their pomp! The Horrors stunned music fans with the superb Primary Colours in 2009, after a largely poor and over-hyped debut. For some the jury may still have been out but on this early evidence album number three looks as though it may cast their rep in stone. That’s my two cents worth, what’s your verdict? And here’s one they made earlier. King Tuff is the brainchild of Kyle Thomas, lead vocalist of the J Mascis side project Witch and Feathers. A musical oddity to say the least, apparently this project began life as something of a parody. Whatever the case he’s got a certain penchant for resurrecting ’70s glam, garage rock groove, with great style it must be said. ‘Hands’ is a case in point, wrapped in upbeat sunny rock riffs, it is the newest entry in Scion’s A/V Garage 7 inch split series along with The Hex Dispensers‘ Ramones-eque ‘Agatha’s Antlers’. The occasion also presents the opportunity to share ‘Kind of Guy’, a real gem smothered in Them era Van Morrison aesthetics which was lurking over on the ever incredible Red Threat. Check it! 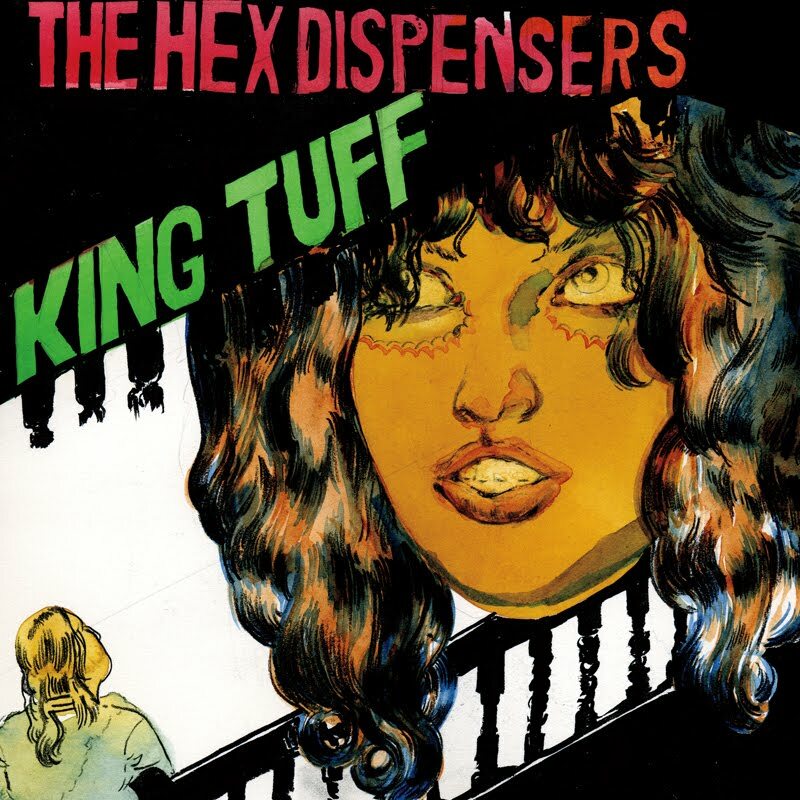 You can stream and download this King Tuff/The Hex Dispensers split for FREE below. 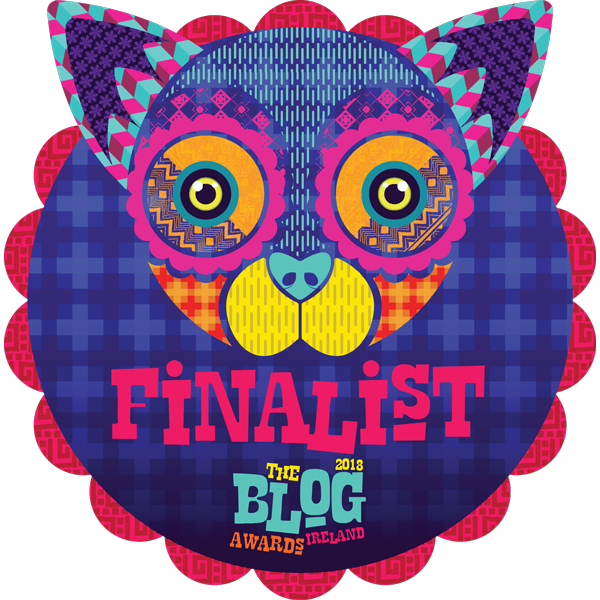 This is another one which fell by the wayside when my modem died last week, better late than never yeah? 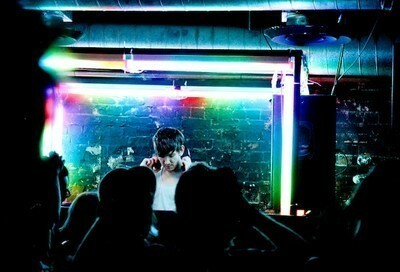 Last Friday night Edwin Congreave from Foals played a ‘Slutty Fringe‘ show in The Old Queen’s Head in Islington, London. For the occasion Congreave put together a mix for Slutty Fringe’s mixtape series. Showcasing what he’s all about, it is an excellent mix of disco, indie and electronica with exemplary track selection and flawless flow. This is just the ticket to banish those Monday blues. Download/Tracklisting after the jump.